Often dubbed the “holy grail” of garment sewing, pants have a reputation of being the hardest for a sewist to fit. But they’re much simpler when you’re armed with knowledge about common alterations, so it’s not surprising that this was the second most popular post this year. Come check out some troubleshooting and solutions in this post. 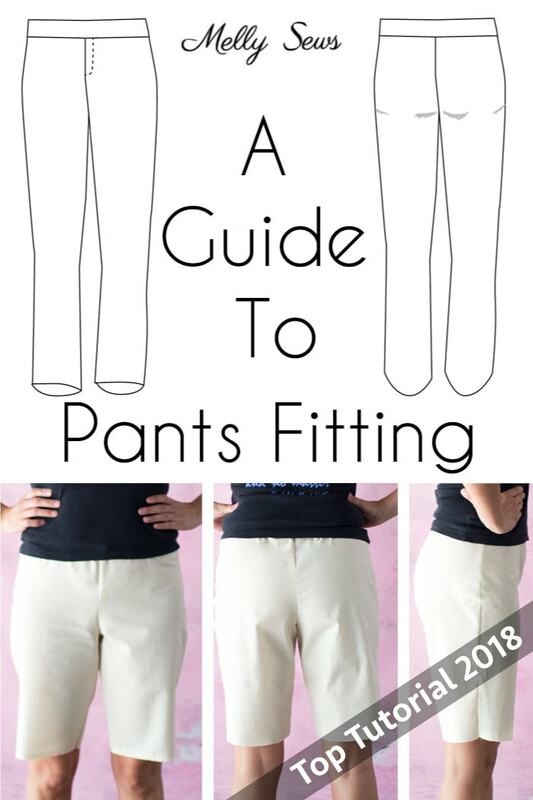 Thank you sooooo much for the pants fitting information! I have always had to alter or make my pants, because I am very short through the hip. Even when I make them, simetimes the fit is just not quite right. Now I understand why, AND how to fix it. My life just changed for the better in 10 minutes! Happy 2019, and thanks again! !